Welcome to a Brighter Future! 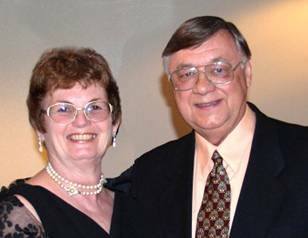 Home-based business coaches Fran and Dave Daisey welcome you to a brighter future! 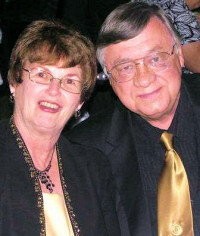 We are Fran and Dave Daisey, Independent Watkins Gold Managers and members of the pace-setting Summit Group. We are experienced and caring Business Development Professionals. It is our desire to “pay-forward” to others the potential for prosperity and the abundance that we have experienced with our Watkins business. Our lives are dedicated to coaching and mentoring individuals who desire to start and build a successful work-at-home business. Each day of our lives we witness people from all walks of life who are gaining financial security, time-freedom and a greatly enhanced quality of life. It gives us great pleasure to assist and guide people on their journey to success. The driving energy of our business is service to others. We are in the exciting business of helping people to enhance and transform their lives through our remarkable home business opportunity. When our Associates reach out and help others they are rewarded with financial security, time-freedom, an enhanced quality of life, personal growth and hope for a brighter future. We have a commendable track record of helping people earn profits and have fun working-at-home in a business that they customize to their unique personality, style and resources. As you review our credentials below – you may sense that we could help you as well. Helping you would be our great privilege. Although we are proud to represent one particular business opportunity, the information on our site will help you regardless of which work-from-home endeavor you pursue. If you visit our site we believe you will discover a wealth of insights and information that may be helpful to you in life and in business. Certainly, we hope you will take some time to explore our website and see how our Watkins business may assist you in achieving your goals. We invite you to discover the great advantages and benefits of Watkins. This remarkable work-at-home business has changed our lives and is enhancing the lives of countless others. Our business is great for any person dedicated to sincerely putting forth effort to build a better life. Whether you are a stay-at-home mom or dad on a shoestring budget or a busy professional in a full-time job, our business with Watkins and the Summit Group has something for you. Best of all, we’re not talking about huge commitments of time or investments of money. You are the boss of your business. There is no pressure from Watkins or your support team. You do as much or as little as you can and when you can. There is a reasonable fee for enrollment in the Watkins business opportunity. Watkins offers a full money-back guarantee if our business system does not work out for you and your needs. You can check out the details by clicking the link below. We invite you to explore with us the power and potential of Watkins and the Summit Group for your life. It will be our pleasure to get to know you! Click for full details of earning income with us. Watkins Business Development Professionals since 1999. Named #1 Watkins Gold Managers for North America 2010. Earned prestigious Watkins Gold Manager Title in May 2008. Named #1 Watkins Gold Consultants for all of USA in year 2000. Coaches more than 400 Independent Watkins Businesses in USA and Canada. Ranked in the TOP TEN income earners out of 6,000 Summit Group Watkins Associates. Earned five all-expenses-paid vacations to exotic destinations for business results. On fast-track to Watkins Executive Title in the pace-setting Summit Group. Members of the Summit Group Leadership Team. Members of the Watkins All-Star Team. Dave Daisey, MA, has a life-time of experience as an educator, military officer, industrial consultant, trainer, college instructor, church leader, published author and business development mentor. His graduate studies are in the area of Organizational & Business Development. Dave is a Lieutenant Colonel – USARMY (Retired). His life’s purpose is to help people become Champions and to live abundantly. Fran Daisey, BS, has a life-time of experience as a homemaker, teacher, organizational leader, school administrator, Real Estate Broker/Manager, civic leader, church leader and personal mentor/coach. Fran is a genuine and caring “people builder.” She has dedicated her life to serving people from all walks of life. Watkins/Summit – Helping Us to Achieve Our Dreams! Fran and I live in Franklinville, New Jersey. We coach and support more than 400 Watkins Associates from throughout the USA and Canada. We have been recognized as the #1 Watkins Gold Managers for all of the USA and Canada – 2010. Our next goal is to achieve Watkins Executive Titles with the promise of a six-figure annual income. Fran and I have been “partners” with Watkins since 1999. When we joined Watkins we had no intention of building a Watkins International Distributor Organization. For the first few years we were content to be customers enjoying the “world-class” products. When we did decide to launch our Watkins business we started just like every other new Associate – at zero. Although we loved the products, we had little knowledge of the company or the business system. We had no other Associates on our team. Certainly, we had no idea as to how we could use the Watkins Opportunity to achieve financial security and time freedom for our retirement years. Our first check was for a $1.37. We were pleased because the check proved to us that the system works and was honest enough to pay us a mere $1.37. Although personal retailing is not our primary business activity we do use several casual methods for selling our Watkins products. We share Catalogs and occasionally host Living Naturally Parties (the Watkins model for a “home demonstration” approach). We have casual “get-togethers” at our home where we share Watkins treats and take orders. We also use a method called a Catalog Sharing Celebration. But our greatest earnings come from the dynamic growth of our ever-expanding network of Watkins Associates. Our network (our Watkins Success Team) sells tens-of-thousands of dollars in Watkins Products each month. We earn 5% to 10% income on the gross volume of our Watkins Team. Through building our Success Team (network) we are continuously leveraging ourselves to ever-greater RESIDUAL Income. Essentially, Watkins pays us based on the volume that our team produces each month. The more volume our team generates the greater our income. Another way of expressing it is to say that the system pays us to identify, sponsor, train, encourage and support an ever-growing network of high performance people to personally use and sell Watkins products. We call this “team power.” Your team power can make you a fortune. When we enrolled in Watkins we were fortunate to become members of the Summit Group, one of the elite Executive Teams in the history of Watkins with more than 6000 Watkins Associates. When we first started to build our business we were in the bottom ten of all Summit Group Associates. Under the guidance, direction and support of the Summit Group our Watkins Business has flourished. We now consistently perform in the top ten. Until recently we operated our Watkins Business part-time because we had other careers. Fran has been a Real Estate Broker for 25 years and I am retired from my Industrial Training and Consulting Practice, which I founded in the early 1980s. I am also a professional writer and published author. Our Watkins business has grown so dramatically that in 2012 Fran will retire from her Real Estate career. We will then have much more time for travel and visiting friends around the USA and Canda. I will have more time to devote to my writing- much of which will be devoted to this BLOG. At the present time I spend 30 – 40 hours per week on our Watkins Business. But these hours are at my discretion. I work when, where and how I want to work. Because of our growing residual income Fran and I can take off a month and still earn a substantial check from Watkins. Our growth has been exciting. Watkins has really been good to us. Most importantly is the recognition that our income will continue to grow for the rest of our lives and we will have a business that we can assign to our children. We have earned several all-expenses-paid vacations as a result of our business development achievements. A Watkins vacation is a remarkable experience with all-expenses-paid. The company rolls out the red carpet for high achievers. We have earned vacations to Disney World, Las Vegas, San Diego California, Puerto Vallarta, Mexico and a Royal Caribbean Cruise to Mexico and Beliz. Our most recent vacation will take us to Cancun in the spring of 2012. We have received more recognition in a few years with Watkins than we did in the prior 30 years in other business ventures and industries. We do not share these achievements to brag but to simply demonstrate that our progress has been real and tangible. Watkins rewards high performance. The system works. The Watkins Business expression is the fairest, most equitable and moral business system that you will ever experience. It represents a complete shift from the unfairness, inequality and tensions of traditional businesses. Every Watkins Associate sits at the top of his or her Independent Distribution Business. There are no ceilings on growth. There are no boundaries in terms of creativity. The system rewards everyone equal to his or her performance. Any person who works hard and diligently will be rewarded in countless ways. We truly believe that Watkins represents the very BEST Independent Business Opportunity in North America! Watkins Is Helping Us To Achieve Our Dreams! We are dedicated to serving you in everyway possible.